This is my husband’s go-to dish. If we need to bring something to a party? This is his contribution. If we spontaneously decide to have a barbecue? This is always the appetizer. If he wakes up and the sun is out and the sky is blue? Well, you get the picture. He always makes this. Fortunately, it’s delicious. 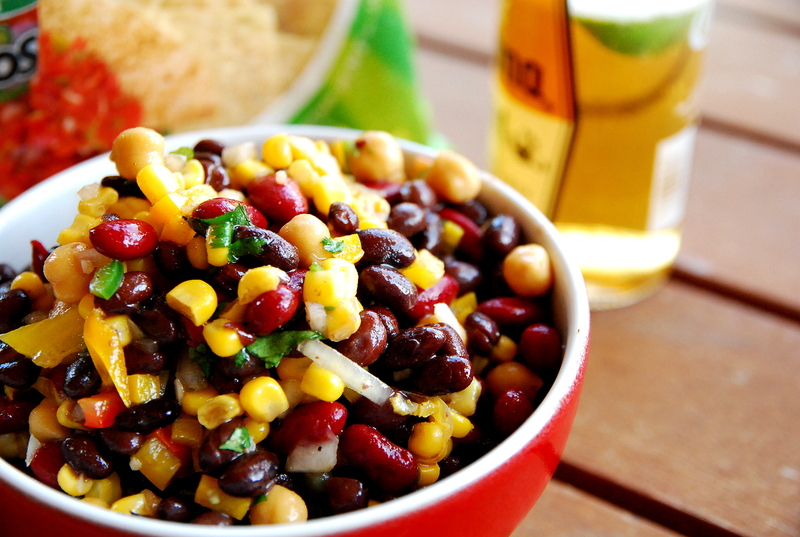 Black beans, kidney beans, and cannellini beans get happy with with corn, bell pepper, and red onion and tossed with a zesty vinaigrette made with fresh lime juice, cilantro, and cumin. And it’s really, really good for you. So much protein and fiber is packed into this dish that I occasionally eat it for dinner and am totally full. Bonus that it’s really pretty and colorful too! 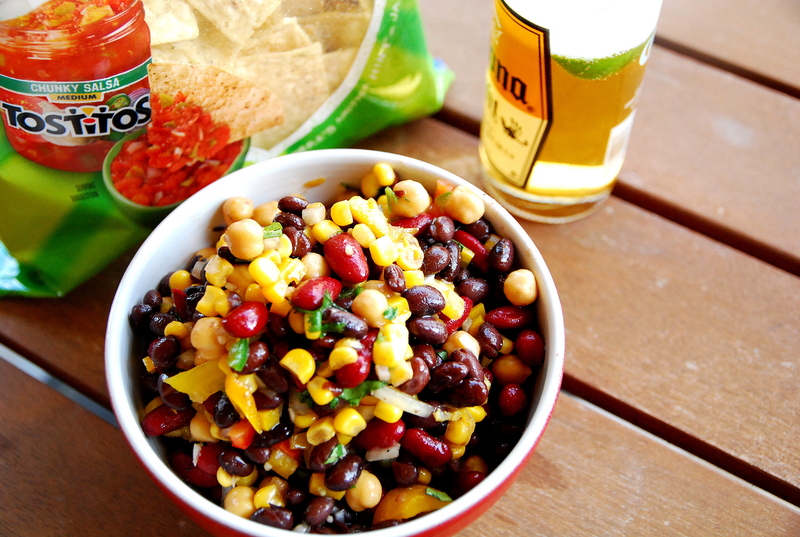 We love to serve this with the Hint of Lime tortilla chips. Also, you can make this dip ahead of time — we think it’s even better on Day 2! I’m pretty sure I could eat the entire bowl with a spoon. Omg, it looks amazing!